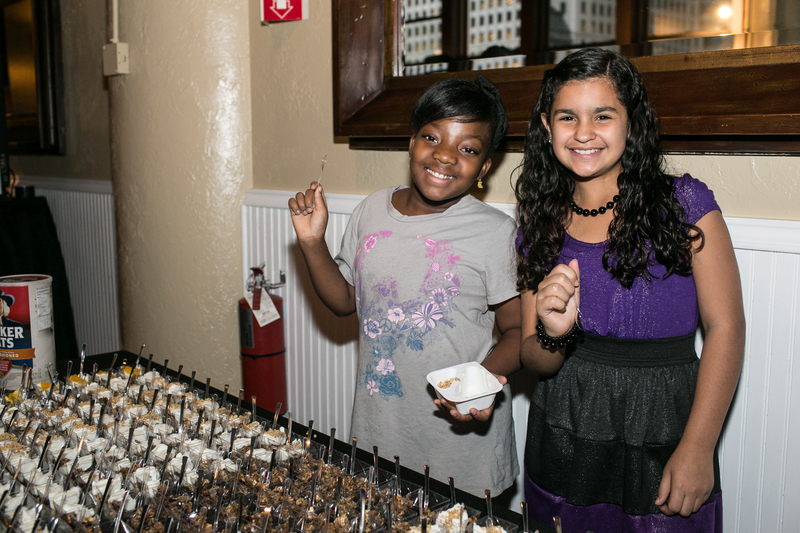 The 4th Annual Cook-Off in Chicago will be held on October 2nd at Alhambra Palace! This fantastic fundraising competition and event provides us an opportunity to inspire others with our mission. This year will be no exception! 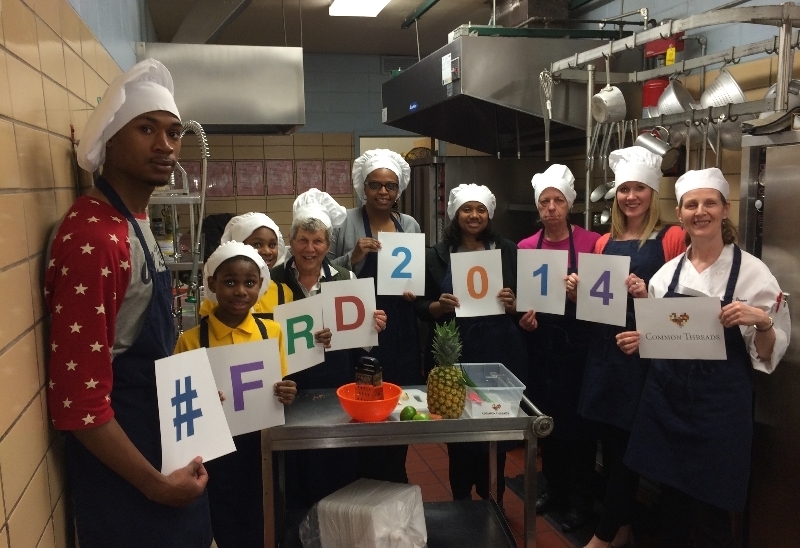 The â€œState of Common Threadsâ€ Evaluation Breakfast will be the same day as the Cook-Off. Come take advantage of this opportunity to learn more about how Common Threads is setting the standard in our industry through our comprehensive, culturally relevant cooking and nutrition programming. We have experienced a tremendous amount of growth over the last two years and are creating lasting changes in the lives of students and their families, with the help of strong foundational support. You will learn more about the current programs implemented in each of our cities, plans for expansion and unique partnerships. Stayed tuned for more details but donâ€™t forget to mark your calendars! You wonâ€™t want to miss it! Recent research from Yale links studentsâ€™ academic success and their personal health. 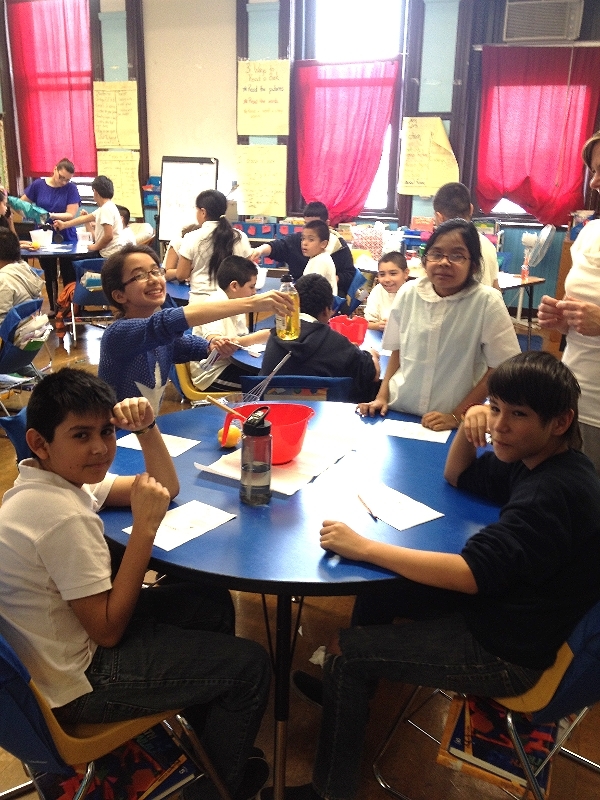 Students in schools and communities that promote good personal health can reach higher levels of academic achievement. Maintaining a healthy weight, being physically fit and having a secure source of food were among the factors they considered. The study is based, in part, on the Institute of Medicineâ€™s conclusion that we must â€œstrengthen schools as the heart of health.â€ That is exactly what Common Threads programming aims to do. Common Threads has long believed this and we hope that you are as excited to read more about these finding as we are! This further confirms the work we are doing! Check out the study here! The end of the school year means longer days, lots of sunshine and for most kids, eating more meals at home. Trying to feed our kids healthy snacks can often be challenging. According to a Yale University study published in the Journal of School Health, a healthy diet can be linked to academic achievement. Eating enough fruits and vegetables is among the healthy behaviors that contribute to academic success. Luckily summer brings with it lots of fresh fruits and veggies. Pair some of those fruits and veggies with a healthy fat and protein and you have a wonderfully healthy snack that is easy to grab-and-go. We've done all the work for you! Check out these options, complete with a grocery list. Get snacking! 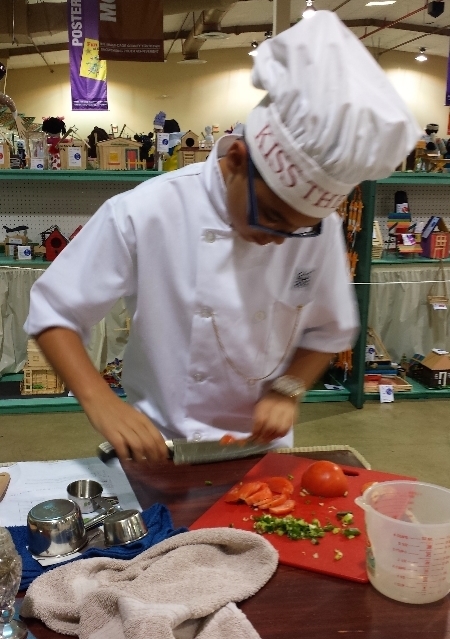 Two students from Palm Lakes Elementary battled at the Miami Dade Countyâ€™s Youth Fair to see who would reign supreme in the Herb It Up culinary competition. Daniel and Brandon are both graduates of Common Threads and used their skills to create a dish featuring a seasonal herb. 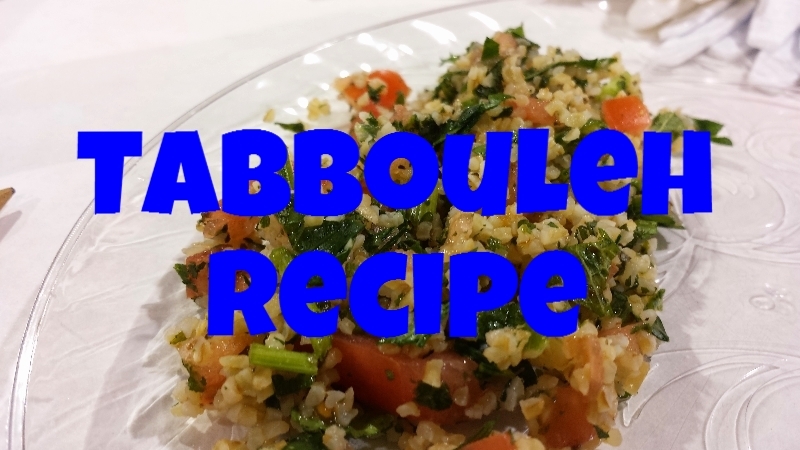 Daniel created radish green pesto and Brandon created Tabbouleh. Both herbs were harvested from their school garden. They created the dishes, individually, without any help and they were judged on multiple categories including taste, presentation, cleanliness and knowledge of the ingredients. They both had fantastic knife skills, worked efficiently and in the end both dishes were delicious and creative. The competition was close, but in the end Daniel took first prize for his Radish Greens pesto. Both Daniel and Brandon won a Common Threads cookbook for their hard work! 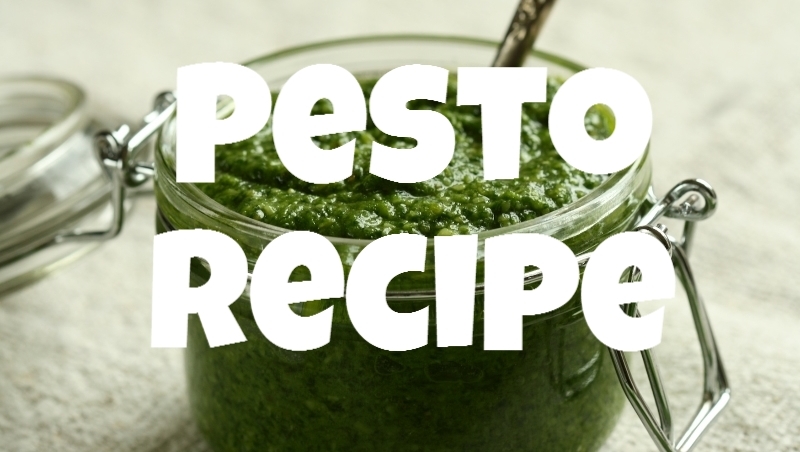 Click below to make these dishes yourself! 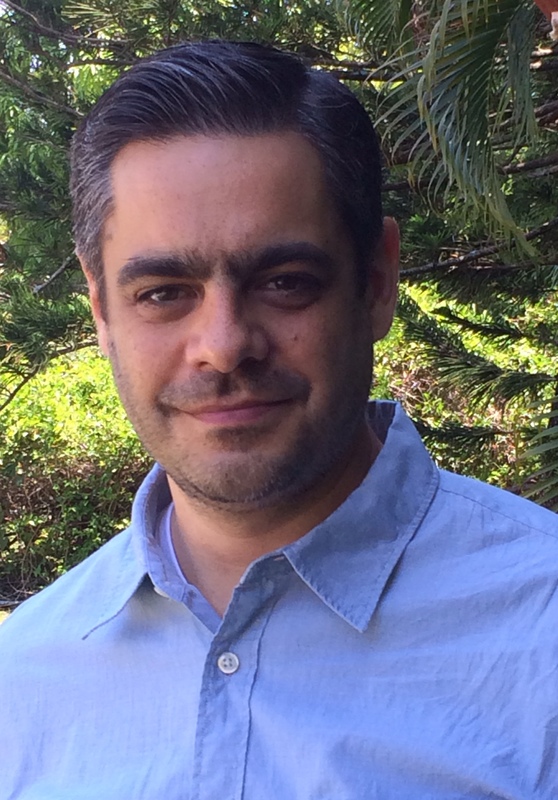 Meet our newest Program Manager Jeffery Brana! We are very excited to welcome Jeffrey to the Common Threads team! He comes to us with a strong culinary background, having spent time leading some of the best kitchens in the country. He also has experience in the non-profit world working on a federal program discovering ways to increase access to healthcare for children with chronic medical conditions. Jeffrey is a Program Manager for our Miami schools. Join us in welcoming and getting to know Jeffrey! What inspired you to join Common Threads? Iâ€™ve spent the majority of my career working with food, around some of the best chefs in the world. 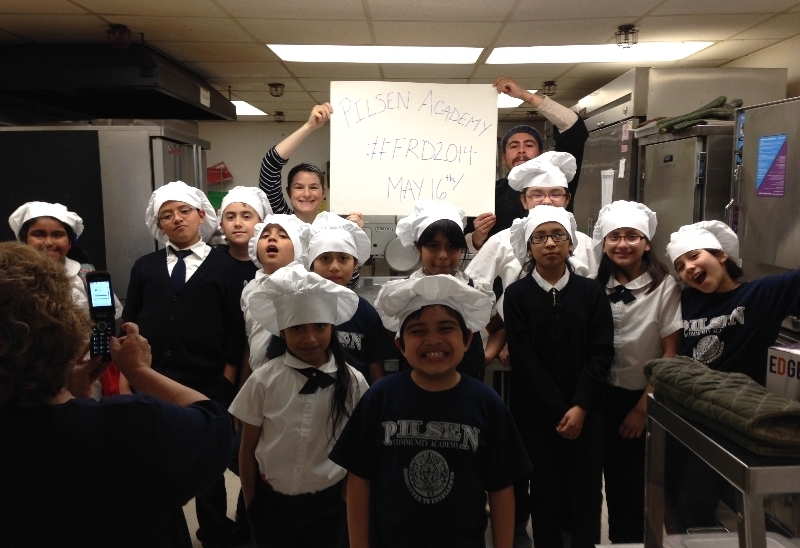 What trumps that is the opportunity to engage children through food, specifically those that are most at-risk, giving them the chance to explore the world through cuisine and giving them the tools to develop sustainable (in the long-term sense), healthy choices. Iâ€™ve dedicated my professional life to food and healthcare, and Common Threads is the perfect culmination. I feel fortunate to have the opportunity to realize this, and work with such a driven team of staff, chefs, school administrators and volunteers. 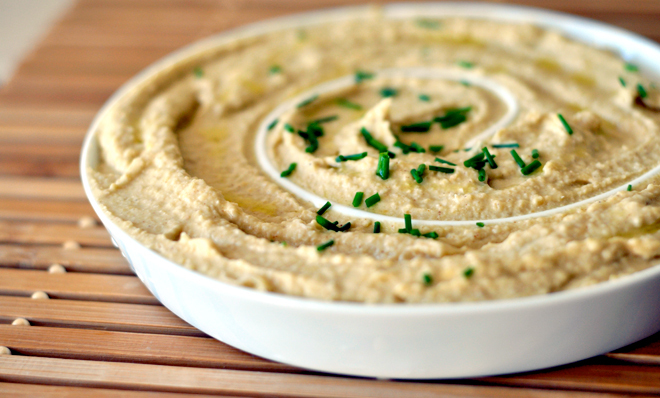 Tell us about your favorite food memory. Picking oranges from the tree in my grandmotherâ€™s backyard, then taking them inside to juice them. Ugly, spotted, absolutely delicious oranges. I still make a trip home to visit that tree whenever there is fruit, and my daughter now joins in. If you could travel anywhere all expenses paid where would you go and why? Not too far away; Andros Island in the Bahamas, with family and friends, a seaside room and flats full of bonefish. Connect with Jeffery at jbrana@commonthreads.org. Congress passed the Hunger-Free Kids Act in 2010 with bipartisan support to help ensure every American child had access to the nutrition they need to grow into healthy adults. One goal of the law was to help reduce America's childhood obesity epidemic and reduce health risks for America's children by helping schools across the country produce balanced meals so children had access to healthy foods during the school day. â€¢Kids are eating more fruits and vegetablesas a result of updated standards. A recent Harvard study has concluded that, under the updated standards, kids are now eating 16 percent more vegetables and 23 percent more fruit at lunch. â€¢USDA is helping schools encourage kids to choose new healthier options. Most recently, the Department announced $5.5 million in new grants to support Smarter Lunchrooms, a broad toolkit of easy-to-implement, low-cost, evidence-based strategies that increase consumption of healthier foods and decrease plate waste. 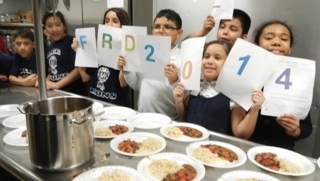 â€¢In February, USDA announced the availability of up to $5 million through the Farm to School grant programto increase the amount of healthy, local food in schools. In FY13, USDA awarded grants to 71 projects spanning 42 states and the District of Columbia. â€¢USDA is partnering with the Alliance for a Healthier Generation to provide an online product calculator for Smart Snacks. This product calculator will assist all stakeholders in easily identifying food and beverage products that meet the new standards. 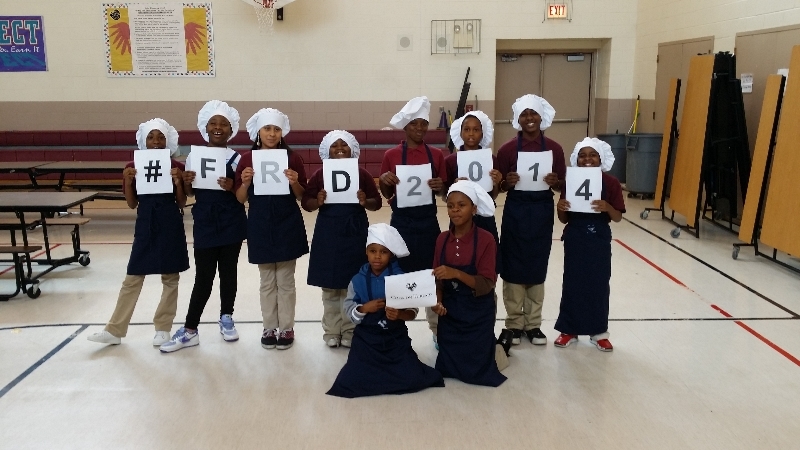 Common Threads Classes Celebrate Food Revolution Day! We are thrilled to announce that we have recently received three grants: $100K over two years from Crown Family Foundation, $50K from Health Foundation of South Florida and we were awarded the BCBS Healthy Hialeah grant for $10K! These grants will allow us to create sustainable changes in the lives of even more students! 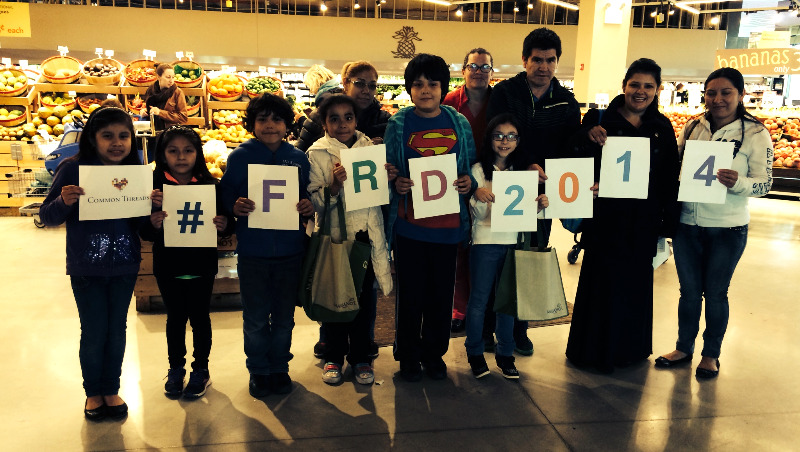 Common Threads conducted our first ever Grocery Store Tour (curriculum provided by Cooking Matters) for parents of our program participants at Marianoâ€™s in Chicago. These parents gained a wealth of information as they toured the store; learning how to select fresh produce, how to save money while eating healthy and how to include their kids in the cooking and shopping process. 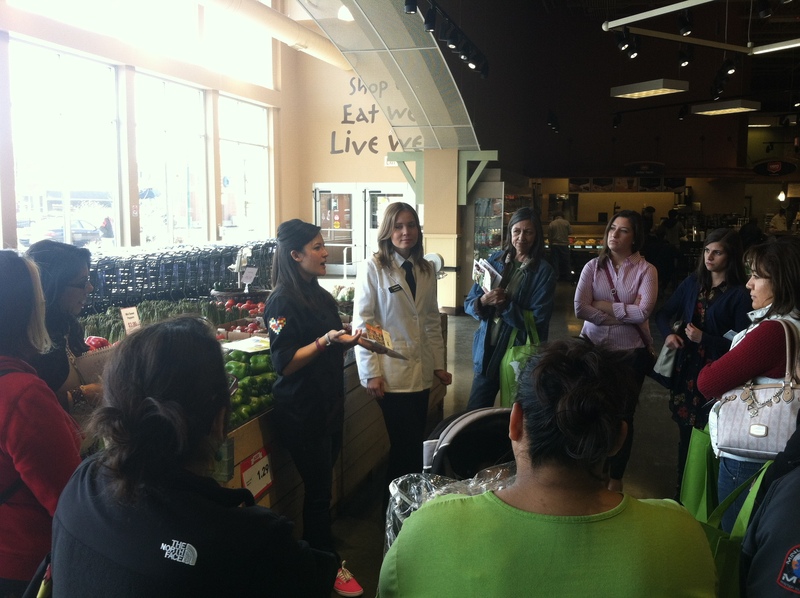 This grocery store tour is just another piece of the puzzle in our comprehensive approach to nutrition education. Being able to successfully plan meals, shop for ingredients and cook healthy meals for the whole family, while sticking to a budget, is such an important part of what we do. Stay tuned for more of these tours popping up over the summer! Summer Camps Are Almost Here! Summer is here and we could not be more excited about our upcoming camps! Our numbers are better than ever, with 100+ applicants and counting in Chicago, Miami & DC! We have exciting things in store for the camps this summer in collaboration with Barilla. It is such a fantastic opportunity to see Common Threads in action, changing the lives of students. The is one of the most successful programs that Common Threads offers and we would like to invite you to witness one of the camps yourself to see just how powerful they are. Our camps are three weeks long and are offered free to rising 3rd through 5th graders. 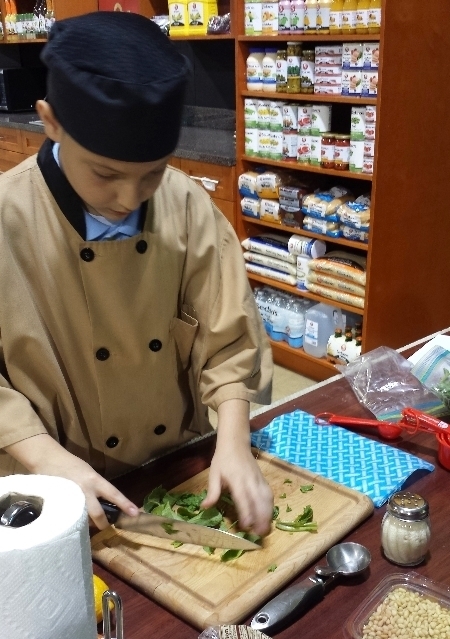 These hands-on camps, sponsored by Barilla Pasta, will feature cooking classes and competitions, kitchen science labs, physical activities, etiquette classes and, as always, tasty and healthy food. 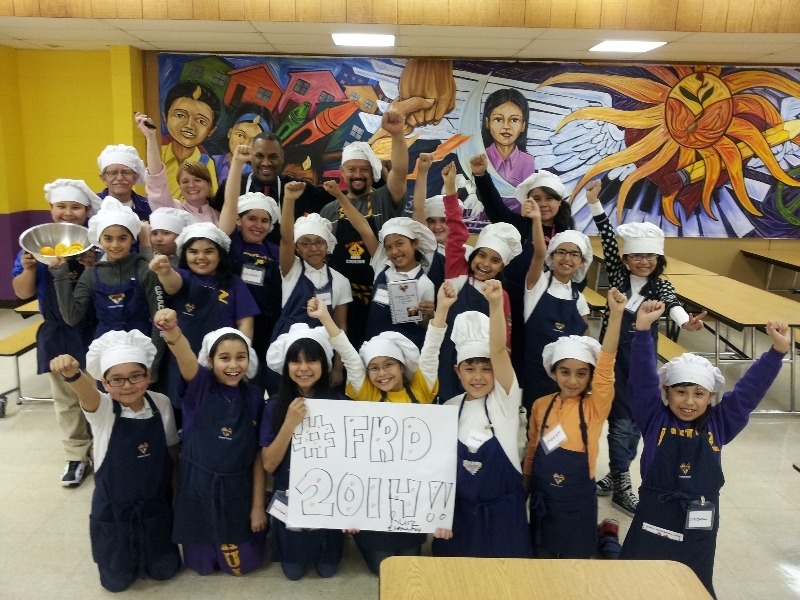 Students will cook cuisines from all around the world, conduct science experiments using basic kitchen items and grasp the importance and knowledge of making healthy choices in and out of the kitchen. Campers will engage in physical activity and learn about movement disciplines created around the world. During classroom discussions children will learn about nutrition and healthy living and will work on projects in a fun, stimulating environment. Studies have shown that low-income children gain more weight in summer months than during the entire school year. This three-week program will help campers build healthy eating habits and learn about portion sizes. 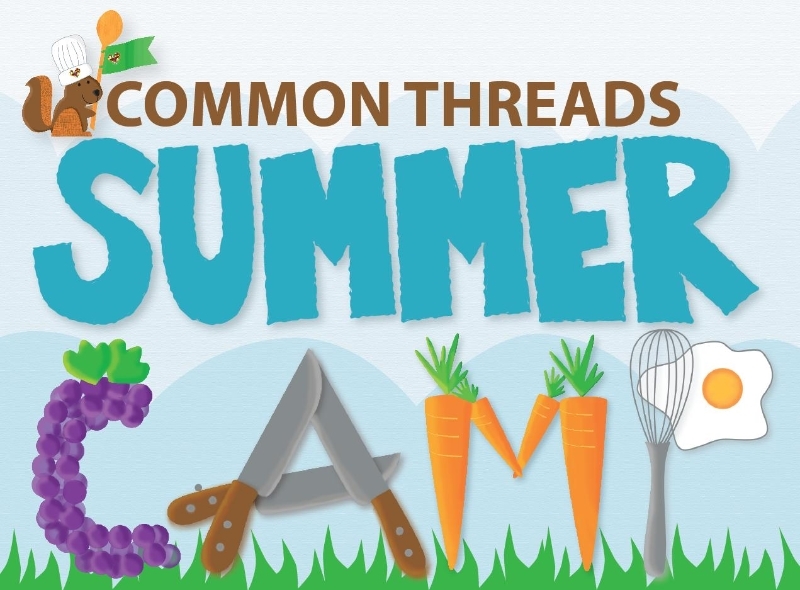 Common Threads is also integrating substantial math and reading components so that students can practice essential skills to combat summer knowledge loss. We are currently working with partners and districts to schedule site visits so please take advantage of this opportunity to see, up-close, the difference Common Threads is making in young peopleâ€™s lives. Invite anyone else that might be inspired by witnessing one of our summer camps in action!!! Contact Alex Martin at amartin@commonthreads.org to set up a visit. See below for dates and locations.